Apple announced three phones during its event at the Steve Jobs Theater in Cupertino on Tuesday afternoon. The company introduced a completely overhauled iPhone alongside the usual upgraded models. The iPhone X, which you can learn more about here, is the all-out premium model Apple is selling to those willing to shell out the money for futuristic technologies. 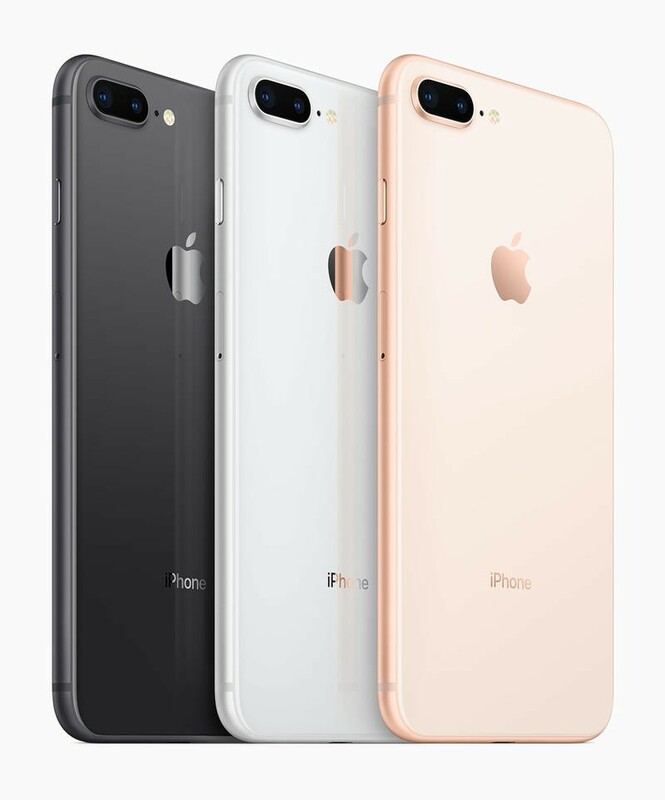 Because the iPhone X is so expensive, Apple will continue offering more affordable phones through the iPhone 8 and iPhone 8 Plus. With the iPhone 8 and iPhone 8 Plus, you’re still getting a high-end experience. Apple is keeping both phones updated with new components. Let’s tell you what you need to know about them. The iPhone X is radically different than the iPhone 8 and iPhone 8 Plus. Apple’s newest member of the iPhone family has an edge-to-edge screen, no home button and a vertically-aligned dual-camera setup on the back. To pack all of the new features inside the iPhone X, Apple had to implement an entirely new design. Both the iPhone 8 and iPhone 8 Plus, however, will have you feeling right at home if change isn’t your favorite. These two phones actually look like a cross between Apple’s previous design languages. You’ll notice a glass back panel like the iPhone 4 and iPhone 4s, but the shaping and aluminum frame come from the iPhone 6 and iPhone 7. Apple was forced to reintroduce the glass back to enable wireless charging. You’re still getting a top and bottom bezel, a home button with an integrated fingerprint scanner for Touch ID, and water resistance. On top of keeping familiar features, Apple updated the specifications for the iPhone 8 and iPhone 8 Plus. 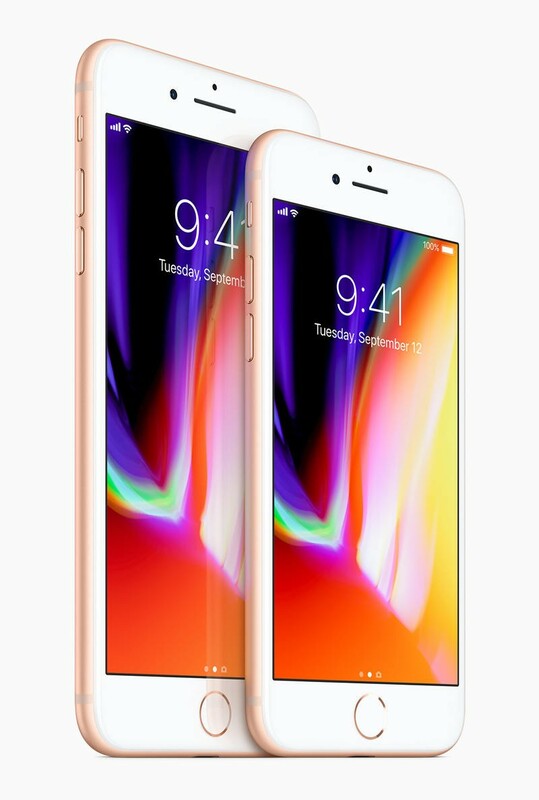 The Retina HD display now comes with True Tone, the cameras have larger and faster sensors, and an A11 Bionic processor makes the phone up to 70 percent faster than its predecessor. The iPhone 8 and iPhone 8 Plus aren’t going to drain your bank account. Apple purposely kept these phones available since the iPhone X is just so expensive. The iPhone 8 starts at $699 while the iPhone 8 Plus starts at $799, on par with the rest of the industry’s high-end hardware. The iPhone X, though, is a mighty $999. Not everyone can afford such an expensive phone even on a payment plan. That’s why the iPhone 8 and iPhone 8 Plus exist. Apple needs to maintain accessibility at the price point it’s been at for the last ten years. Over time it can go all-in on a phone at the iPhone X’s price, but the company can’t change in a single day and expect all of its customers to follow. Keep in mind that, based on the specifications mentioned earlier, the iPhone 8 and its larger sibling are very good phones. There aren’t any shortcomings. Apple is merely dipping its toe in a higher segment to see how many people bite. 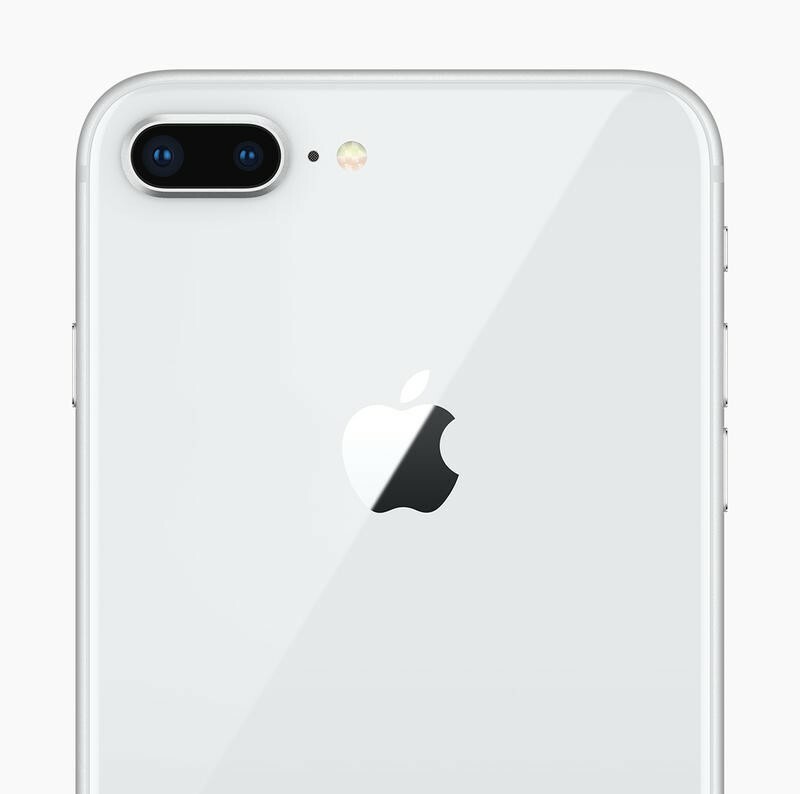 Also, the iPhone X shows where future iPhones will go. This isn’t anything new if you’re coming from Android, but Apple just added wireless charging to every new iPhone announced today. 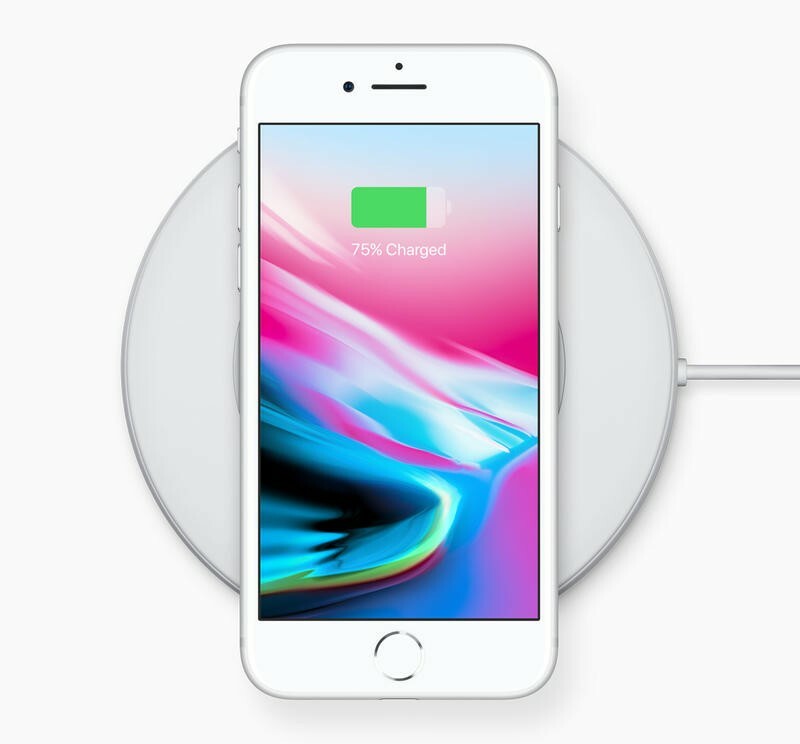 The iPhone 8, iPhone 8 Plus, and iPhone X are all compatible with wireless charging pads based on the Qi standard. You simply place your phone on a third-party wireless charging pad and power will be transferred to fill your battery. It’s the convenience of this feature that you’ll appreciate the most. Rather than having to constantly plug and unplug a wire from your phone, you can place it on flat surface. There are even home furniture makers like IKEA who are integrating wireless charging pads into desks, counters, tables, and lamps. Apple plans on releasing its own wireless charging pad, but that won’t be until sometime next year. That’s okay due to the large number of third-party options available. Maybe you’re someone who doesn’t like the iPhone. Even then you have to appreciate Apple’s handling of software updates. The iPhone 8 and iPhone 8 Plus will ship with iOS 11, the latest version of the company’s mobile operating system. iOS 11 is letting users exchange money on Messages through Apple Pay, increasing the personality of Live Photos, adding more filters to the camera, redesigning the App Store, and pushing Siri to be smarter. It’s not a historic release in any way, but the software update will bring more life to Apple’s hardware. Having iOS isn’t only a short-term advantage. It’s a long-term advantage, too. Apple continues rolling out major software updates for devices that were released years ago. The iPhone 5s and iPad Mini 2 from 2013, for example, are going to receive iOS 11 later this month. When you buy the iPhone 8 or iPhone 8 Plus, you know you’re not going to be left behind anytime soon. Aside from being less expensive than the iPhone X, the iPhone 8 and iPhone 8 Plus will be released earlier. 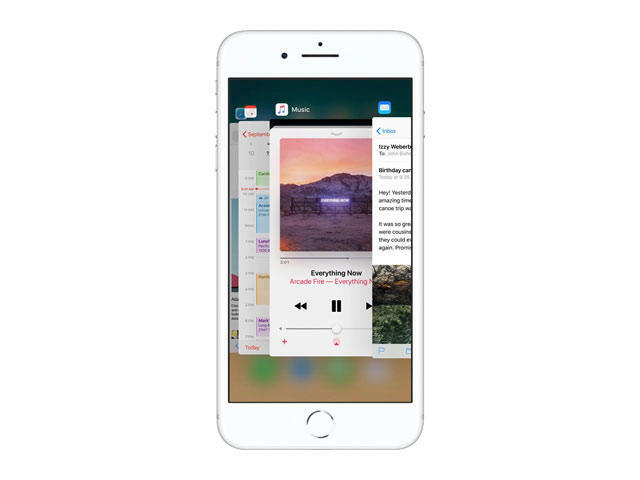 Apple’s duo goes up for pre-order on September 15 followed by a release seven days later. The iPhone X, meanwhile, won’t be released until early November. Due to their similar specifications, it’s possible that you don’t need to spend the extra money and get the iPhone X. The iPhone 8 and iPhone 8 Plus might be the perfect fit. So you could get Apple’s latest right away while others are waiting for a phone that may or may not be worth the hype (and the money).